The Department of Soil Science owes its origin to Imperial Agricultural Research Institute established at Pusa, Bihar in 1905. Workers like Dr. J. W. Leather “considered father of Indian Soil Science & Agricultural Chemistry” sowed the seed for the research in the field of soil science at Pusa. 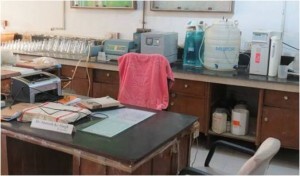 After the establishment of Rajendra Agricultural University in 1970, the post graduate studies in Soil Science started with a full fledged laboratory and staff. Stalwarts like Prof. S. C. Mandal, Dr. K. K. Jha, Dr. P. P. Jha, Dr. M.K. 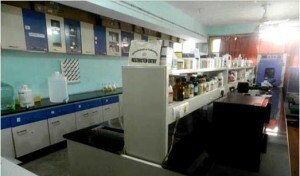 Sinha and others gave the present shape to the Department. The department has carved a niche for itself through focused research in different spheres of soil science as well as by producing quality human resource through excellent postgraduate with updated and modern course curricula. The great diversity in the areas of expertise and interests present in the Department leads to diversity in thesis research. Till date about 171 M.Sc. and 51 Ph.D. students have earned degrees and more than 1200 research publications have been made. Over the years, the trained and accomplished faculty members as well as students in addressing current issues in Soil Science have won over 10 national and international awards. Individual staff members within the department have long been recognized for their leadership role in the Soil Science. To cater the needs of farmers, the soil testing lab is issuing Soil Health Card with crop based nutrient recommendation. 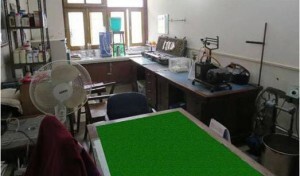 The laboratories of the department are equipped with the advanced instruments for carrying out all sort of analysis. Targetted yield equations (fertilizer adjustment equations) for major crops for different agro climatic zones of Bihar (with and without IPNS) and Jharkhand (without IPNS) states have been developed. Equations have also been developed for important vegetables, spices and medicinal plants grown especially in North Bihar area. Equations for major cropping system of the area (North Bihar) has been developed in which a farmer will get fertilizer recommendation for whole cropping system by sending their soil sample either in Kharif or Rabi. Compost + crop residues could save 50 % recommended dose of NPK and green manuring by summer green gram or its residues incorporation could save 25 % recommended dose of NPK in Rice –wheat cropping system. Organic fertilizer along with chemical fertilizers in integrated manner can improve physic-chemical properties of soil and crop productivity. Three epigeic species of earthworms namely Esenia fetida, Eudrillus eugenii and Perionyx excavatus have largely been harnessed for vermicomposting. 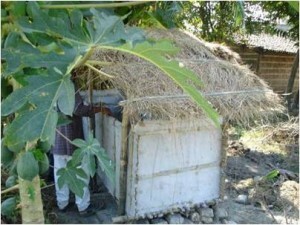 A cost effective technology for poor farmers has been introduced. 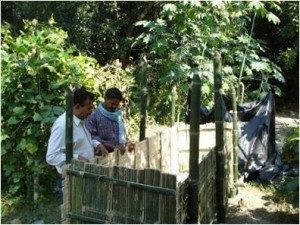 The bamboo pit for vermicomposting costs about Rs. 3000 with the production capacity of 3.5 tonnes per year. The vermicompost being produced is enriched with gypsum @ 2.5% and rock phosphate @ 5 % P2O5 W/W. Characterization of RAU Vermicompost for physical, chemical and microbial properties has been done and is satisfactory. The Maturity index or Biodegradability index (B.I.) value were higher in compost (3.5 to 4.6) than in Vermicompost (2.2 to 2.9) indicating the stability of Vermicompost. Highly efficient isolates of Rhizobium, Azatobacter and PSB (Pseudomonas and Bacillus) are being maintained and are available for mass multiplication. Vermicompost has been recommended to be used as carrier material for biofertilizer production. 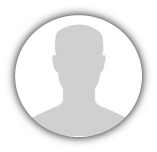 Permanent accession numbers of highly efficient 16 strains of bacterial isolates have been obtained from National Centre for Biotechnology Information, USA and which were released in Public Domain on 05.08.2014. The Accession numbers are KJ54775.1 to KJ547790.1. The PSB (Pseudomonas and Bacillus) were also observed to solublize 20 to 30% phosphorus and are also efficient in zinc solublization. 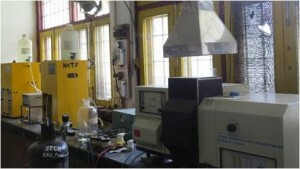 The biofertilizers were observed to be increase 20 to 30% yield of different crops. It was found highly effective in vegetable crops. Azolla – a free-floating water fern that floats in water and fixes atmospheric nitrogen in association with nitrogen fixing blue green alga Anabaena azollae. It can be used either as an alternate nitrogen sources or as a supplement to commercial nitrogen fertilizers. It is known to contribute 40-60 kg N per hectare in rice crop. Azolla incorporation into the soil as a green manure crop is one of the most effective ways of providing nitrogen source for rice. 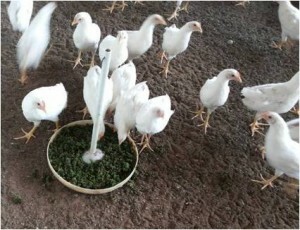 In addition, Azolla can be used as a fodder for domestic animals as it contains 25 – 35 per cent protein and is rich in essential amino acids, minerals and vitamins. 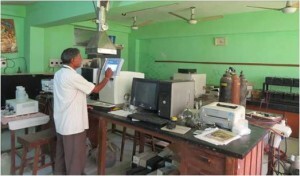 Soil samples of farmer’s field are tested for their various chemical properties on nominal charges. According to the test report, fertilizer recommendations are made using Targeted Yield Equations developed by the department. Click here to see the rates for testing of soil, plant, water samples. Training to Govt. officials, farmers and entrepreneurs are conducted on biofertilizer production technology. Efficient isolates of Rhizobium, Pseudomonas and Bacilus are available. 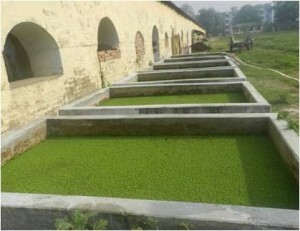 Mass Production of Azolla and its dissemination among farmers for the use as bio-fertilizer and cattle feed. Vermicompost production is being carried out at large scale. Earth worms and the vermicompost is available for the farmers at reasonable prices as fixed by the university, time to time.